How I became swole master flash. Well hello, Ladies and Gentleman I am Tre the swollest man on the planet and I will be giving you some tips today on how to get big/swole/ripped big whatever you wanna call it I got it. A lot of people want to know how to know I got so big. Well, I am gonna tell you how to right now. First, let us start from the beginning. As a kid, I was always very active a young buck like I was benching kids here and there (that’s a joke). I was always the leader of the pack in running, climbing whatever. I always wanted to workout but I never really got into it I was like 10. One time I remember I drew abs on myself but that has nothing to do with the topic. I decided to finally get somewhat serious about working out. Whenever I would have the opportunity to get a quick workout in I would. As time went past and I began maturing I began actually going to the gym. I, of course, wasn’t starting out benching 75 dumbells but everyone has to start out somewhere. When everything changed was summer 2k16 I decided to like really really get serious about working out. My sister and I went to the gym twice every day. Twice every day for about 90 days that’s working out roughly about 180 times over summer break. I really started to see changes. Working out that many times really made working out really became a habit for me. Even when people in my family took a break from working out I continued and I was determined. Which everyone who really want to see results you need to become determined. As of now, I think I’m at a good place. Even though I think I am at a good place I am going to continue. 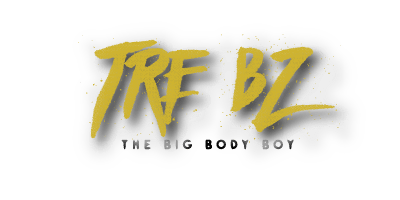 If you would like to see me on my journey you can add me on the following social medias at Snapchat at King_trebz, Instagram @Trebcars, and Twitter @liltrebz. Until next post see ya!